Kopnena vojska Novog Zelanda (na maorskom Ngāti Tumatauenga, Pleme Boga rata) je sastavni dio Oružanih snaga Novog Zelanda i sastoji se od 4500 vojnika i oko 2500 civilnog osoblja. Znak novozelandske vojske na sebi ima tradicionalno maorsko oružje, zvano "taiaha", natpis na maorskom, kao i krunu Svetog Edvarda. New Zealand Army (Maori: Ngāti Tumatauenga, Tribe of the God of war), is the land armed force of the New Zealand military and comprises around 4,500 regular personnel and 2,500 non-regulars and civilians. 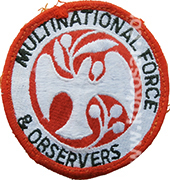 The NZ Army logo has been altered to include a traditional Maori hand combat weapon called a Taiaha, and has the words Ngāti Tumatauenga below. St. Edward's Crown is also on the New Zealand coat of arms. 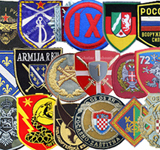 Kraljevska novozelandska pješadijska regimenta (RNZIR) je glavna borbena jedinica regularne novozelandske vojske. Formirana je 09. 01. 1947. godine kao dio novostvorenog pješadijskog korpusa sa samo jednim pješadijskim bataljonom. 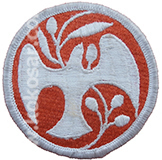 Danas se Regimenta sastoji od 3 bataljona: 1. mehaniziranog, "originalnog" formiranog 1947, 2/1 bataljon, laka pješadija i trećeg, formiranog 1999. koji bi se, u slučaju potrebe, popunjavao jedinicama Teritorijalne obrane. 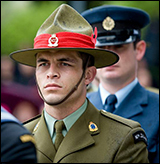 The Royal New Zealand Infantry Regiment is the main combat unit in the regular New Zealand Army. It was formed January 9, 1947 as the New Zealand Regiment with a single infantry battalion as part of the newly created infantry corps. Today, the RNZIR has three battalions: 1st Battalion, Royal New Zealand Infantry Regiment (mechanised infantry) - the original battalion formed in 1947. 2/1st Battalion, Royal New Zealand Infantry Regiment (light infantry) - originally the 2nd Battalion, this was given its current name in 1973. 3/1st Battalion, Royal New Zealand Infantry Regiment - formed as a cadre in 1999 to be mobilised using Territorial Force infantry units as needed. 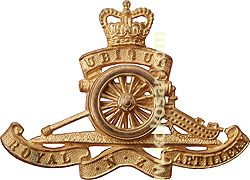 Royal New Zealand artillery officers badge - the only difference from the enlisted badges is that the officers badge has a turning gun wheel. Oficirska (časnička) oznaka Kraljevske novozelandske artiljerije se razlikuje od vojničkih samo po tome što se kotač na topu okreće. Motto: In this Sign conquer. Dress distinctions. The wearing of black edging on the shoulder strap was abolished in 1924. 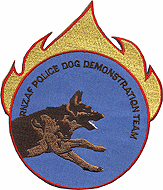 The Department wore black metal buttons and black rank badges. 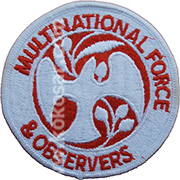 A strip of purple material, half- inch wide is worn on the shoulder strap immediately above the shoulder seam and below the badges of rank. RNZChD officers wear anodised silver crosses as collar badges on the green drill summer dress and on the Combat dress. 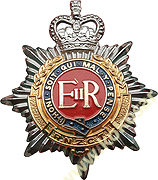 The badge worn after 1937 was the British Army Chaplain's badge. 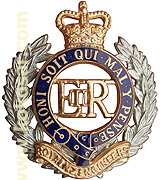 The Dept was granted the "Royal" prefix 12 July 1947. and in 1980. was granted it's own badge. 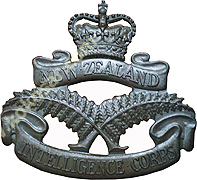 Royal New Zealand Corps of Transport was raised on 12 May 1979 and was created from the Royal New Zealand Army Service Corps. It was absorbed into the Royal New Zealand Logistics Regiment on 9 December 1996. The 2nd Engineer Regiment is housed in Linton Military Camp that is situated approximately 10 km South of the City of Palmerston North. Raised on the 1st of July 1993 the Regiment is the only major Engineer Unit in the New Zealand Army. Linton Camp has been known throughout the Army as the traditional home of the Engineers. The School of Military Engineering first moved to Linton Camp in June 1953 but now comes under the Control of Army Schools in Waiouru. The role of the engineers is to assist in maintaining the mobility of NZ Armed Forces, deny freedom of movement to the enemy, and provide general engineering support. 2nd Engineer Regiment is to generate and sustain Engineer Troop and Squadron level command and control competent in combined arms operations in order to meet directed outputs. The Royal New Zealand Signals Corps provides, co-ordinates and operates the communications networks of the New Zealand Army. Modern signal equipment is essential to the army, demanding skilled operators and technicians. Because communications must be maintained even under the worst of conditions, signallers must be expert tradespeople. They must also accept a high degree of personal responsibility because the lives of soldiers can often rely on the fast and accurate transmission of battlefield information. The Corps comprises systems engineers who configure and implement networks, information systems operators who maintain and operate networks, and communication system operators who operate all sorts of communications equipment and process signals traffic over voice and data circuits. The Corps consist of two regular squadrons. The first is the 2 Signal Squadron in Linton, which includes 3 troops, Headquarters, and a Q-Store made up of Regular Force personnel. The second one is the 3 Signal Squadron in Burnham. The corps school is known as the School of Signals and is located in Waiouru. The Royal Army Dental Corps (RADC) is a specialist corps in the British Army that provides dental care services to British Army personnel and their families in war and in peace. The Corps are a part of the British Army's Army Medical Services. The Corps does not carry any battle honours, Regimental Colour or Queen's Colour. Currently, the Corps maintains alliances with the Dental Branch of the Canadian Forces, the Royal Australian Army Dental Corps and the Royal New Zealand Dental Corps.7 November 1915 saw the formation of the New Zealand Dental Service Corps and on 24 February 1916 this was renamed New Zealand Dental Corps. They served with Field Ambulance units in Gallipoli, Egypt and France during WW1. 9 January 1947 saw a name change to New Zealand Army Dental corps and the right to use the prefix "Royal" was granted 12 July 1947.